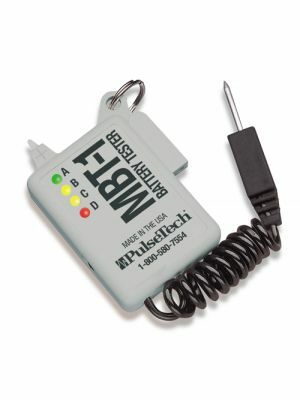 The 6 stations on this portable PulseTech® PRO-PC-6 recovery charger operate in isolation from each other allowing any combination of 12-Volt lead-acid batteries (VRLA, AGM, gel and flooded cell) to be recovered at the same time. Pulse Technology removes sulfates and extends battery life by 5 times. Compact in size, light weight and equipped with multiple cooling fans for better airflow this recovery charger can be placed in a multitude of locations. 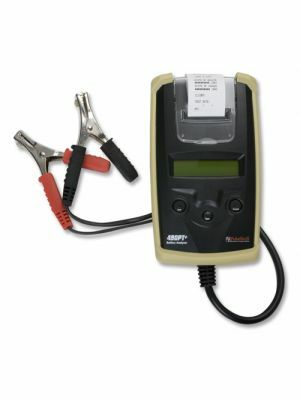 One-switch operation and LED charge indicators simplify operation and minimize operator training. This 12-Volt portable recovery charger is a 14.8V, 6A per channel, 6-Station recovery charging unit that operates anywhere in the world. Each of the six stations operate in isolation from each other allowing any combination of battery brands and type of 12-Volt lead-acid batteries (VRLA, AGM, gel and flooded cell) to be recovered at the same time. This 12-Volt battery portable recovery charger is based on the same proven performance as the original full size roll around pallet charger (HD PC-12), but with some significant differences. As the name suggests, this portable charger is compact in size and is equipped with multiple cooling fans for better airflow, allowing this charger to be placed in a multitude of locations based on need. After being fully charged, the batteries are float charged and pulsed with our high frequency and patented Pulse Technology to remove and prevent the build-up of large, damaging lead sulfate deposits on the battery plates. That means this 6-station portable recovery charger enables your batteries to accept, store and release their maximum power when you need it. Battery life will also be extended by 5 times. One-switch operation and LED charge indicators simplify operation and minimize operator training requirements.